I think that if I were forced to sit in front of the television or my computer screen every day for the whole year I would slit my wrists — the news of our world seems that bad, and, if the news doesn’t convince me that it’s that bad, the organizations I give to regularly would certainly convince me through their emails requesting funds/signatures. Luckily, in the summer I manage to get outside most of the time, and there’s always something to see that convinces me the world’s a beautiful place if we manage to take care of it. More often than not, I find that beauty in one of the few places that retain their native beauty, but occasionally I also retreat to man-made places that gather beauty from all over the world in one place. A favorite of these is the Pt. Defiance Dahlia Garden, especially this time of year when dahlias are in their prime. 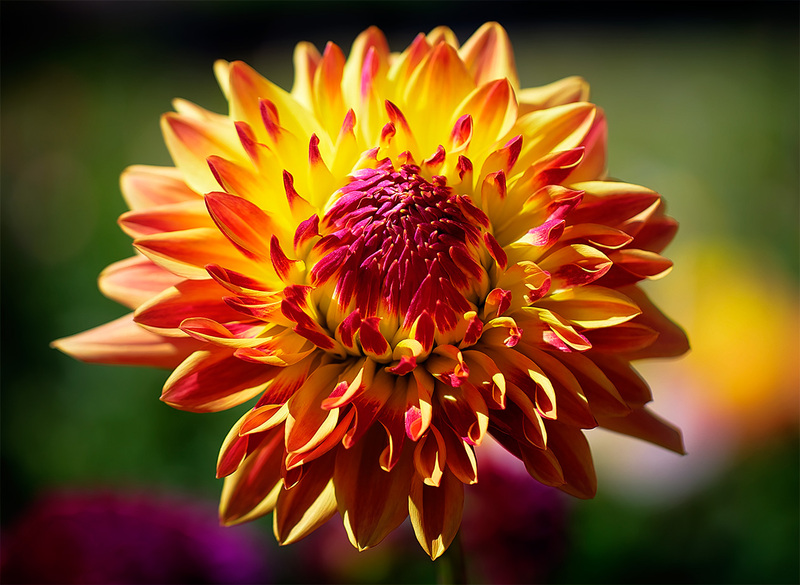 Dahlias must be one of the most diverse family of flowers, both in shape and color. 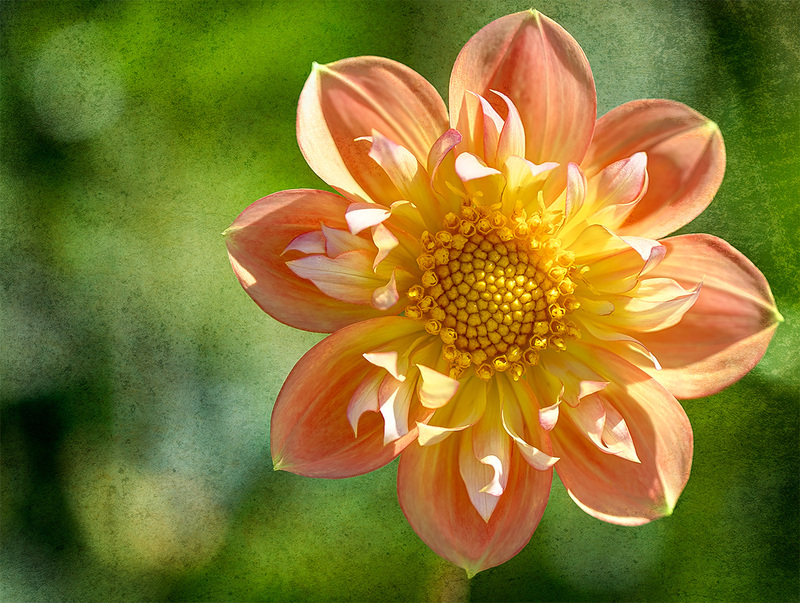 Some, like this beauty, manage to combine several different elements into a harmonious whole. 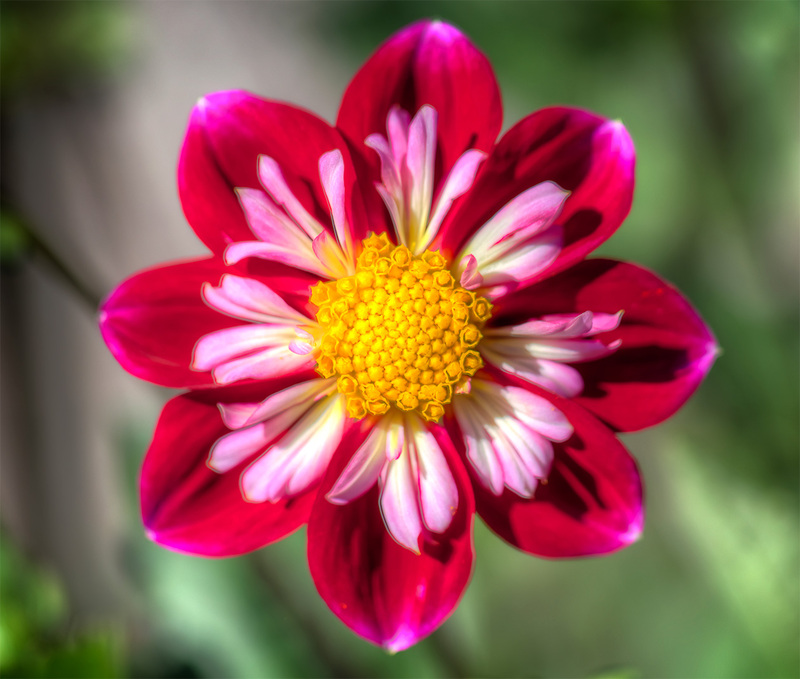 while others offer startling contrasts, like this red, white, and yellow flower. It’s hard to believe this one is even related to the first two, startling with brilliant summer colors. while this one takes on a peaceful lotus-like shape. 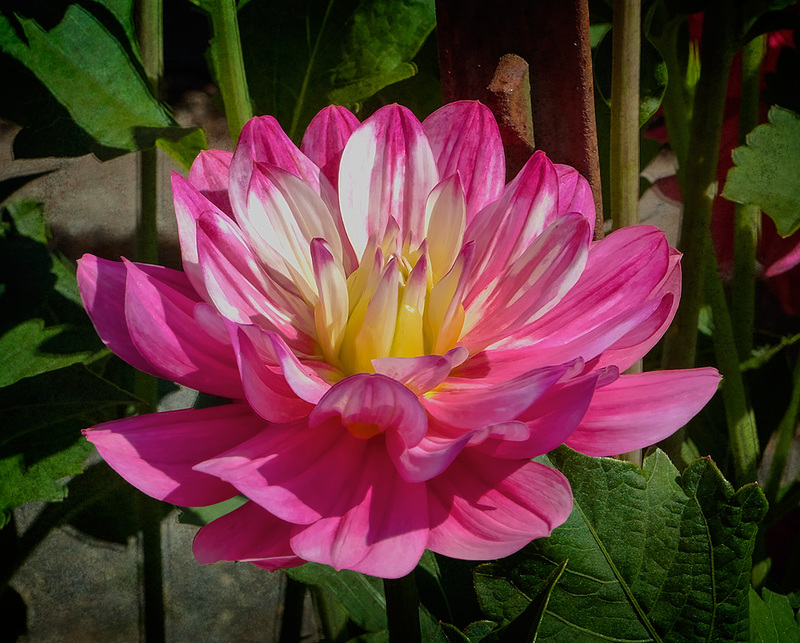 Hard to find a better way to escape the news of the day than a quiet morning walking through a dahlia garden. The “poet” in me says both are correct, Dave. Left you a little musical reply at my place. I saw that. Even saved the link so that I can play it again later.